Yes, had quite a few of Heljan kits, which I regarded as boxes of raw materials. 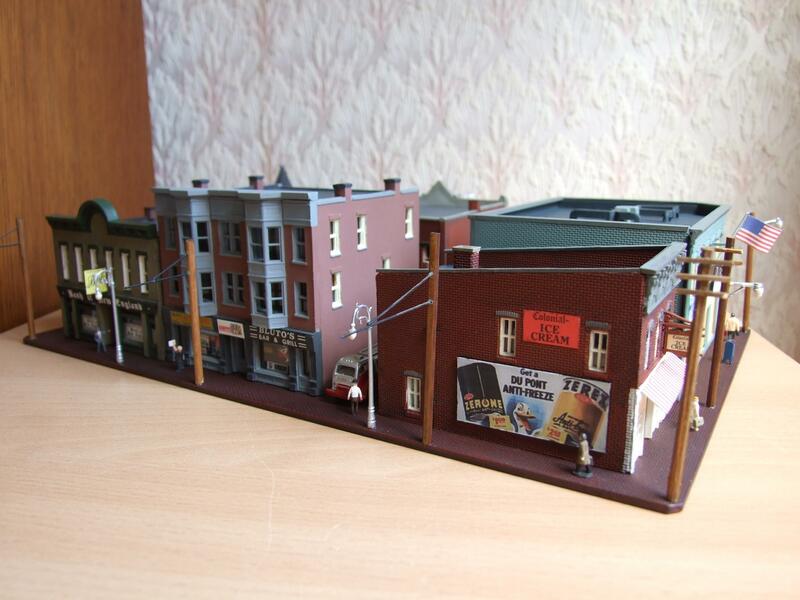 Most of the bits are on my layout, but look nothing like the buildings on the box they came out of!! One of the strangest ones I bought was a brewery kit that could either be built as an N or HO scale kit - different size door units being supplied in the box - though it was clearly marked as an N scale kit. It seemed rather oversize for N, so part of it ended up on my OO layout as a maltings, whilst the other section ended up as a Wehrmacht barracks admin building on an HO "shelf" tram layout! There is a wooden factory building off the scrapped layout that looks suspiciously like it is a dual scale one as well, so it may have been a Heljan/Con-Cor "thing". 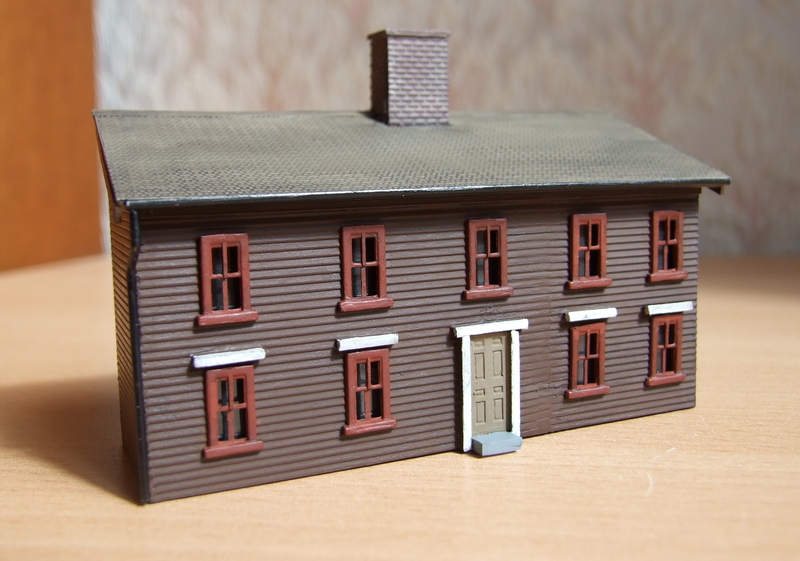 A clearly American New England station building that was supposedly N gauge, but the windows and doors were quite obviously huge..... HO! I bought it, and used the bits. 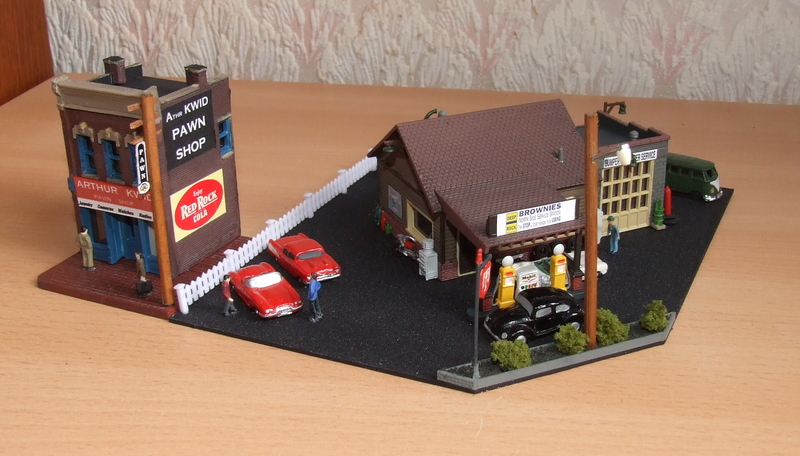 The garage is a Woodland Scenics "Landscape Structures" kit fitted to a base that fills a street corner site on the layout and the adjacent Pawn shop is a cut down DPM kit obtained secondhand some years back. The building started life as a DPM furniture factory, though it was never constructed as per the original plans in the first place. I've made further alterations this time, including replacing the long side wall (not visible in this shot) by a solid wall. This will be where an enclosed coal unloading hopper will be located on the completed complex. 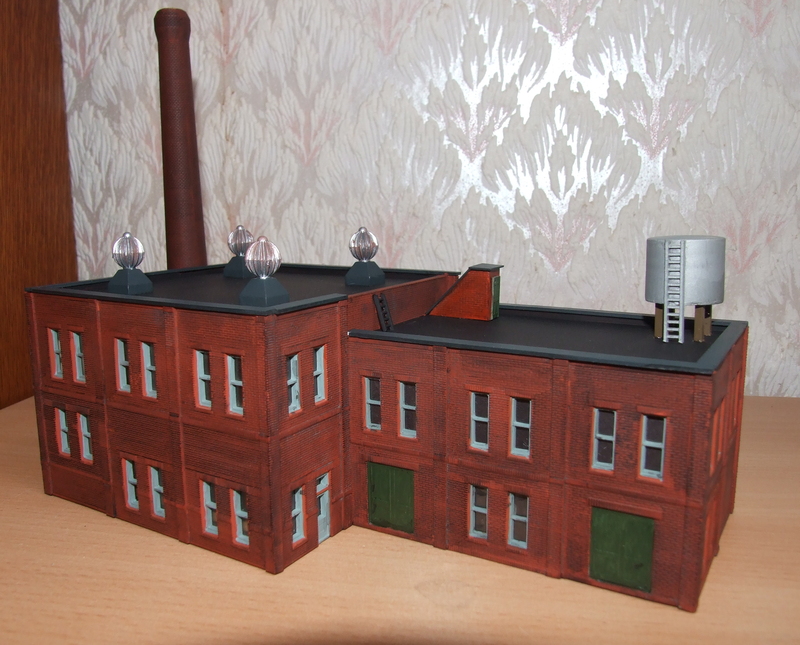 The brick chimney is a commercially available product that comes in a pack of 2, but I can't remember the manufacturer. Excellent modelling. Triple thumbs up! Yeah, the roof vents look a bit Joe 90ish, don't they! Not a lot has been done on the N layout over the past couple of months, as it's more "Garden Railway" time of the year, but I have constructed one of the Town Centre blocks using 6 buildings of the previous layout that have been suitably "refreshed". Buildings are from DPM or Heljan as far as I can remember - I think the Post Office was a Heljan product, the Ice Cream parlour certainly was. Couldn't be bothered to change the previous lettring on the PO, despite the layouts location moving a bit further south than Massachusetts! Great models. Certainly have that stateside character! Not quite "Pugh, Pugh, Barney McGrew....." but the (Lifelike?) Fire Station off my previous layout has had a bit of a refresh and has been mounted on its base for the new layout. The two US fire appliances were purchased from one of the "Poundland" shops about 15 years ago as a set of 3 childrens toys. They are just slightly overscale for "N" but don't look too out of place. 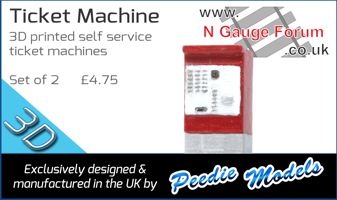 The third appliance was a Simon-Snorkel type on a Mercedes chassis that ended up being given to someone I know who has an N German tram layout for use as an overhead maintenance vehicle! Not seen any of those toy sets around since then though, unfortunately. Looks very good. I especially like the two fire trucks. It seems that relatively modern fire trucks like yours are hard to find these days. Athearn made them a few years ago, but seem to be all sold out. 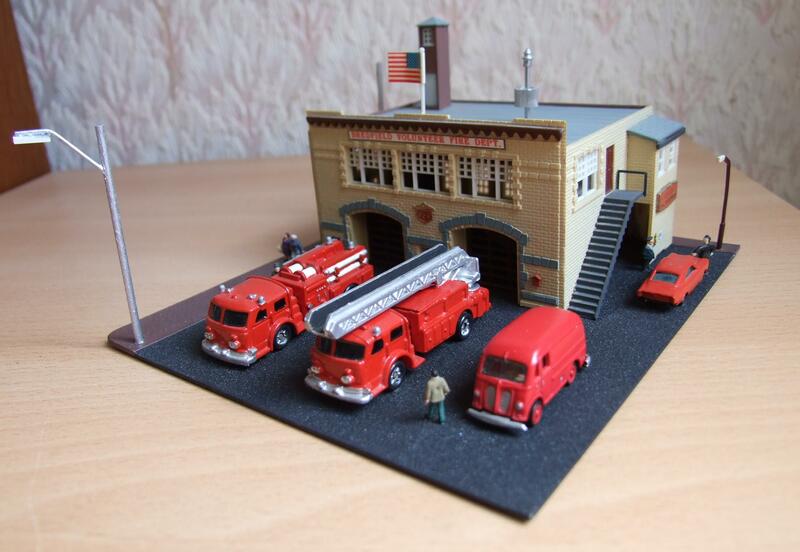 ModelTech Studios and Showcase Miniatures also make fire trucks whose prototype dates to the 1950s. Great if you're modelling that era. Luckilly I have picked up three of those kits relatively cheaply in the past, so have plenty material from them left to keep me going. Kit 2 has now been opened for the next session of building, even though there were still some parts left over from the first box! As I stated at the start of this topic, I want to get away from the "identikit" style structures (DPM/Model Power/Bachmann etc) that populate most of the US outline layouts that I have seen over the years. As my layout is based on a ficticious point in the eastern part of the US, it means that I can get away with buildings that date back getting on for 350-400 years old, so the intention is to scratchbuld some examples which I have seen and photographed on my travels over there. 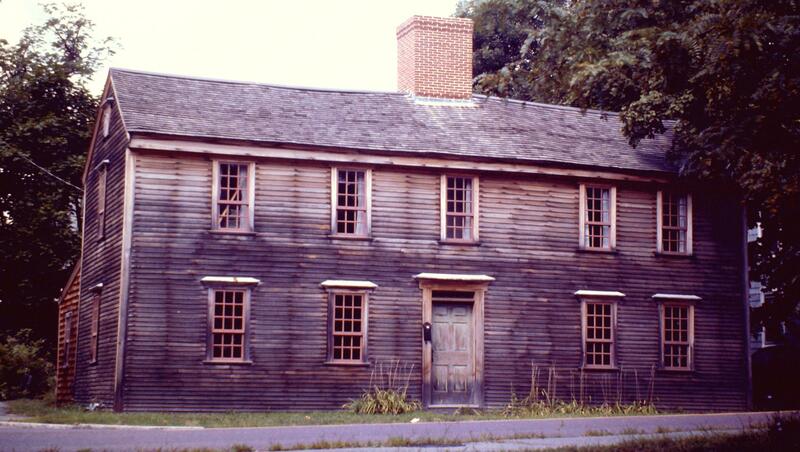 The first of these is a "typical" 18th Century wooden house - in this case, one built in 1735 and located in Ipswich, Massachusetts. The photo below was taken in 1987 and it looks the same today (or it did in 2012) though it has had a bit more TLC and now has an enclosed front garden! Looking at my photos of similar vintage houses over there, the 9 window, 1 door, frontal layout seemed to be a popular one at the time, as was the large, centrally located chimney. There are obvious differences in the model - particularly the windows, as I haven't sourced any suitable multi pane sash windows yet. Having identified a suitable source of glazing material, I hopefully will be able to pick some up at the forthcoming Southwold show, as I am going to need some for the other projects, as well as leaded windows for some of the buildings. 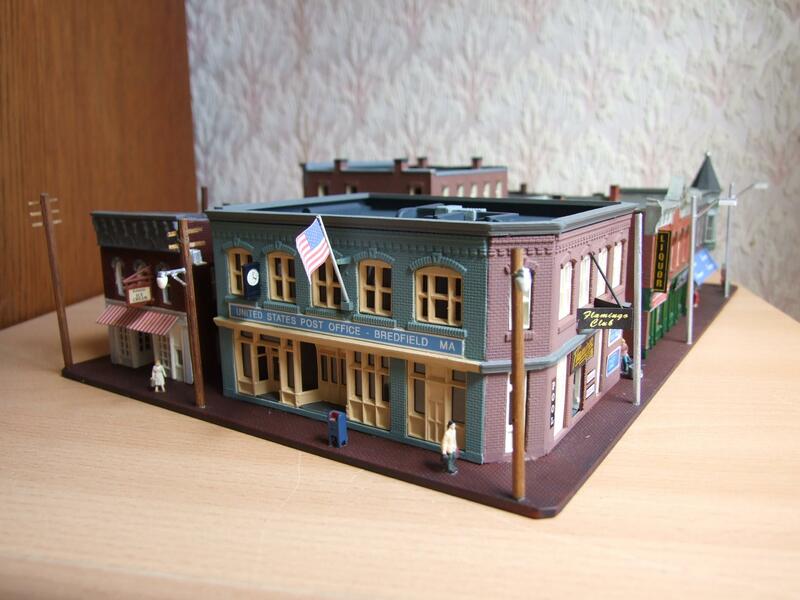 I've also added guttering and downpipes, as the real buildings seemed to not bother with them! This building was a fairly quick one to do, particularly as it used some ready made parts, though the next ones to be built are going to be much more of a challenge. 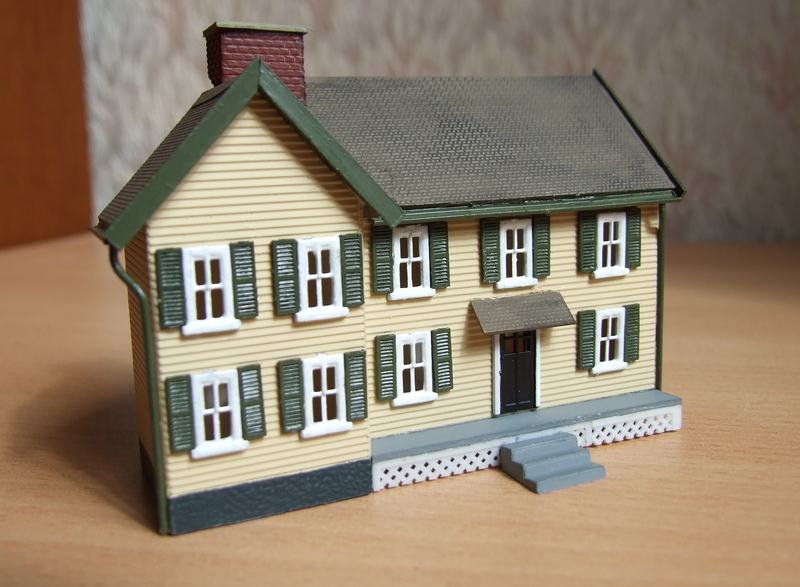 I've got 3 buildings from the 1600's to build, none of which are in low-relief form! Thanks - I had found their range whilst trying to find out whether anything suitable for my needs was available. 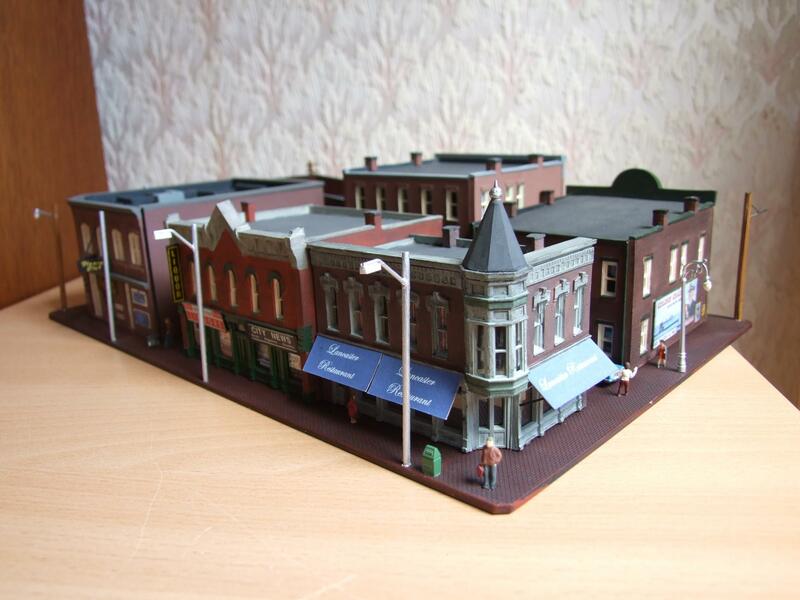 The blue house is another one constructed from the Model Power kit parts, whilst the industrial building at the end is of unknown provenance (got a pair of them secondhand several years ago and have cut one of them down to low relief form) and forms part of the Armory complex.